We last spoke to you in May 2016, when we featured you as a Band of the Day. You seemed pretty positive then. Have things moved faster in the last 18 months than you would have expected? Oh yes a lot faster! The album completed, picking up local and national radio airplay, great tour slots and festivals, to be honest I couldn’t have wished for it to have gone much better. Your debut album Starting Gun comes out in a matter of weeks. Can you put into words how excited you are about this? It’s a really difficult feeling to convey. I’m extremely excited for the release but also really nervous as we want to make a big statement with this being our debut album. It’s going to be a fun tour to promote it so that adds to the excitement, too. What plans do you have in the run-up to the release, and afterwards to support it? How did you manage to get Adam Beddow on board to help with production work? Adam’s been a good friend of the band for a number of years, so it was really comfortable for us. Ad’s a great producer, too, and really did help us get the best out of the record. 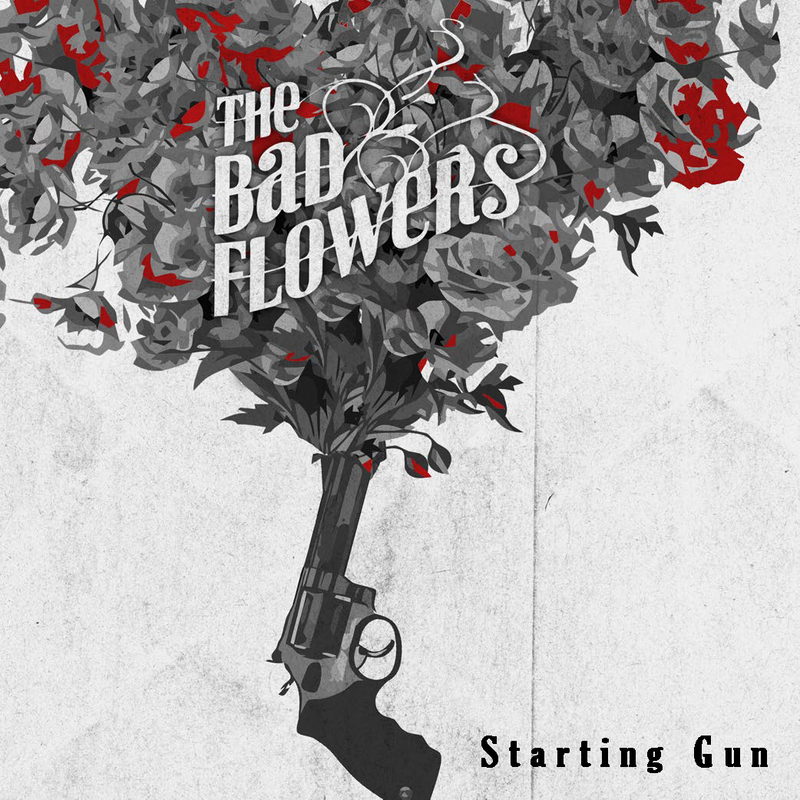 How does Starting Gun compare to your self-titled EP? We’ve spent a lot more time on it and wrote specifically for this album, whereas the EP was a collection of our strongest songs that had been in the live set for a while. Being as we’ve done a full length release this time round as well, we’ve had a bit more freedom to do things that people may not expect, which is good! “Thunder Child” has been remarkably well received. How did you pick this as the single, and were you nervous when you put it out there? I think “Thunder Child” really sums us up with the big riff and hook, as soon as we heard the recording back it was an instant decision that we needed to put this out as a first single. It’s always nerve racking putting out something new, especially something like this that we hadn’t really tested live, so it was really nice to hear the good reaction to it! Have you managed to play with Monster Truck or Rival Sons yet? Oh no! We haven’t but what a cool line up to be a part of that would be. They’ve both really been trailblazers in the rock scene in recent years, so it would be an honour to share a stage with bands like them. Are you already writing for album number two or are you one of those groups that works in defined cycles? We’re always writing and I’ve been recording demos at home of whatever ideas come into my head. Once we have a little time after we’ve come off tour this year I’m sure we’ll be back into the writing process as the whole band and trying to improve on what we’ve done already. With the tours coming up, what can we expect from you as far as a live show goes? 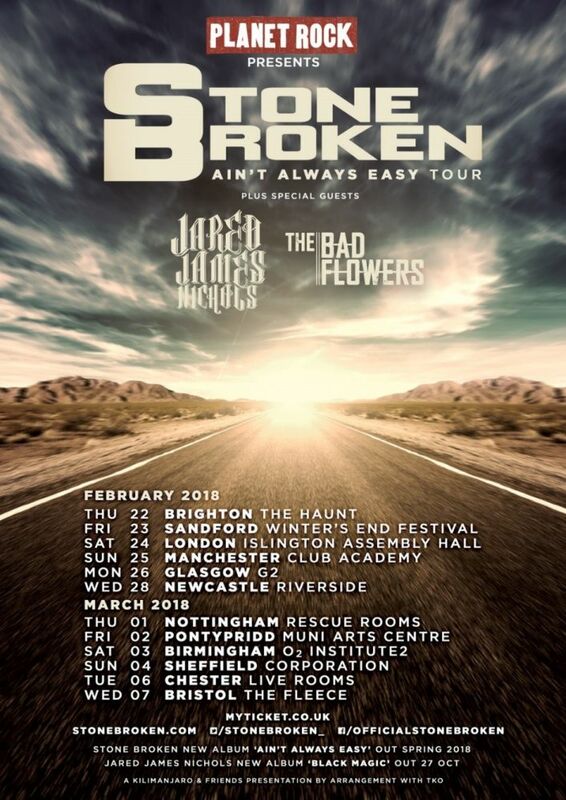 We’re going out for the tour in Feb/March to show people what The Bad Flowers are all about. We’re choosing the songs with the biggest riffs, biggest choruses and just basically going out there with the aim to impress. When you’re touring what is the one item (not band-related) that you have to take with you? And what’s the one thing you have to leave at home that you miss the most? It’s not very exciting but I have to take a pillow with me! Have to get sleep when you can when we’re on tour. The one thing that I miss at home? Probably my record player or the shower!